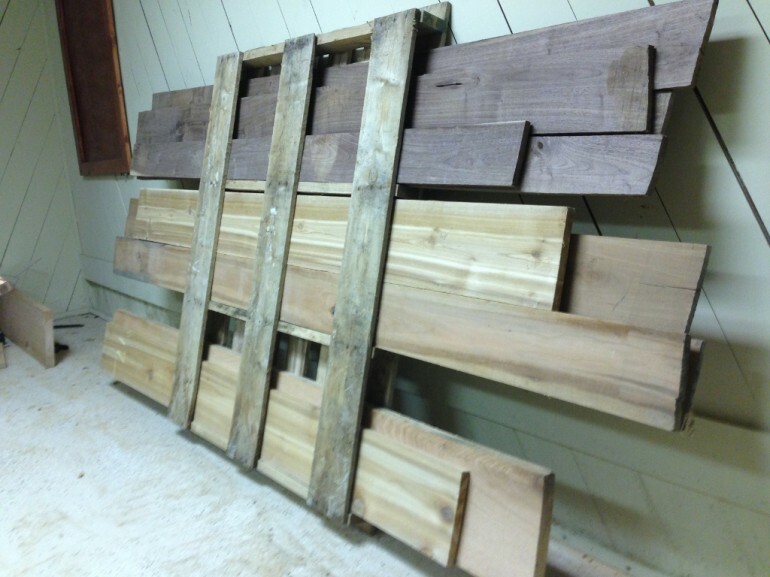 Making a lumber rack for the workshop is a task I’ve been putting off for a long time now. As I was cleaning up my shop the other day, I decided I needed to come up with a temporary solution for the pile of lumber on my floor. I’ve had an old wooden pallet in the corner of my shop for some time, so I decided to start loading what I could onto that. It was surprisingly more spacious and sturdy than I had first anticipated. I loaded as many boards as would fit onto the pallet. There weren’t many left after I was finished. Since the walls in my shop can’t support heavy racks hanging on the walls, this is a nice simple and cheap solution for the time being. This solution works best for long, thin boards. 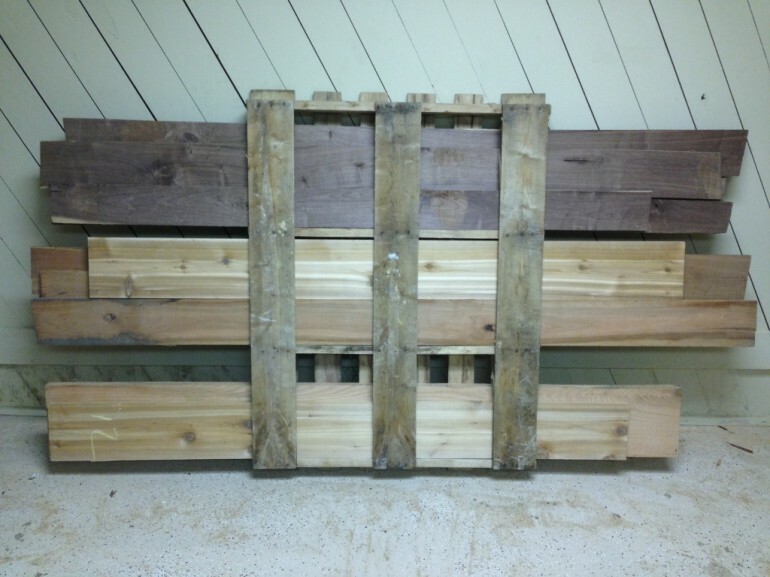 The nice thing is that you can still slide larger panels in behind the pallet for additional storage.